In a few months when the spring floods arrive, it will be very different. For now though it is a peaceful scene. Boats laden with trade goods float lazily down the Euphrates River. Beside the river, children play in the shade beneath date palms that wave gently in the breeze. Farmers work in their fields, finishing up the barley harvest and praising the gods for the bounty they provided. Beyond the fields stands a great wall that protects the city from invaders and the floods, and inside the wall is a city unlike any other. Once the largest city in the world. This is the great Mesopotamian City of Babylon. 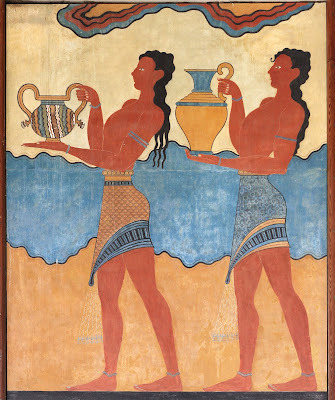 A visitor to ancient Babylon would have witnessed a scene bustling with activity. At its height, Babylon boasted a population over 200,000 people. Located in the heart of Mesopotamia, Babylon lay in a very fertile area between the Tigris and Euphrates River. In modern terms, Babylon was about 50 miles south of Baghdad, Iraq. Because of its location, Babylon was at the crossroads of trade within Mesopotamia. It was also in a great spot for trade between Asia Minor, Egypt, India, and Persia. The history of Babylon mirrors the history of Mesopotamia itself. Throughout the centuries, the city (and the region) has been conquered, destroyed, and rebuilt to greatness many times. Babylon was the seat of power for King Hammurabi’s Babylonian Empire. 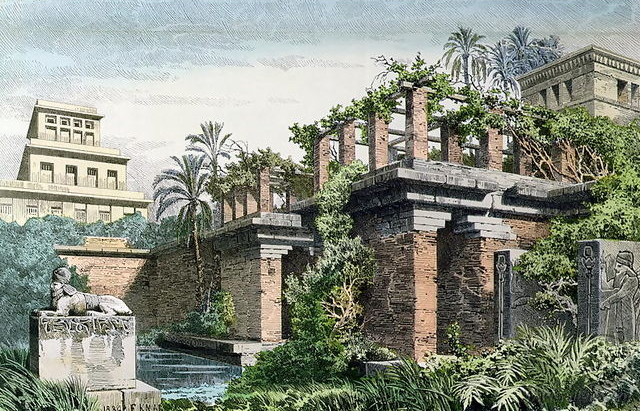 Later, another great king, Nebuchadnezzar, is said to have built his “hanging gardens” in Babylon to remind his wife of her home in the mountains. Alexander the Great took his last breath in Babylon, and after his empire crumbled, the city never really regained its greatness. Today it lies in ruins, but it serves as a reminder of the achievements of the people of Mesopotamia that once called it home.